Father’s Day is right around the corner, and it’s never too early to start thinking about the perfect gift. If you want something unique yet affordable, sterling silver gifts for men are a great option. Sterling silver jewelry and accessories make excellent gifts for Father’s Day. They can have a high-end, unique look without breaking the bank. As long you have a general idea about the taste of the person you’re shopping for, you will find the perfect sterling silver gift for men. Let’s take a look at some gift options for Father’s Day. 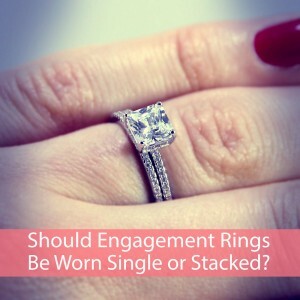 Sterling silver rings for men are very common since there is such a wide variety to choose from. Whether you are looking for a casual band, a ring with stones, or a unique statement ring, sterling silver rings always make great gifts. 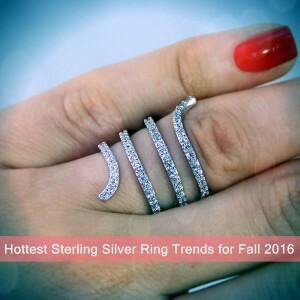 Sterling silver rings can look just as good as titanium or gold rings, but at a fraction of the price. 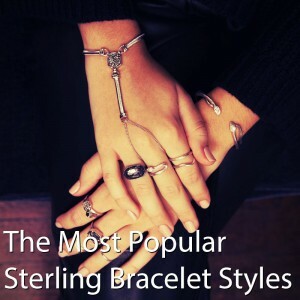 Sterling silver bracelets for men have become more common and stylish in recent years. Bike chain bracelets, leather bracelets with sterling silver accents, and link bracelets are just a few options. Sterling silver bracelets also look amazing when they are stacked. Woven leather bracelets, for example, can be worn everyday or for special occasions. Sterling silver necklaces come in a very wide range of options. Intricate sterling silver cross or religious necklaces are quite common. Sterling silver statement necklaces are also in demand, including bold accents such as skulls, dragons, and other symbols. Cuff links are a very classy and elegant gift for men. Sterling silver cuff links make great gifts for Father’s Day, the holidays, birthdays, or as a thank you gift for groomsmen. Sterling silver cuff links can even be customized with a monogram or gemstones for a customized gift. A money clip makes an excellent sterling silver gift because it is also functional. Not only is a money clip a fashion statement, but it will also help the special man in your life to keep his cash in order. In addition, money clips are not as large or heavy as wallets, and sometimes men prefer not to take their wallets everywhere they go. For these cases, a sterling silver money clip proves to be invaluable and stylish. If the man you are shopping for is a cigar connoisseur, a sterling silver cigar accessory can make the perfect gift. A sterling silver cigar sleeve, cigar band cutter, or cigar case are just a few options. These are just a few examples of sterling silver gifts for men that you can give to the special man in your life. 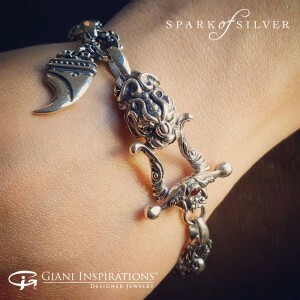 As long as you have an idea about his taste and style, you are sure to find a thoughtful gift within the sterling silver market. 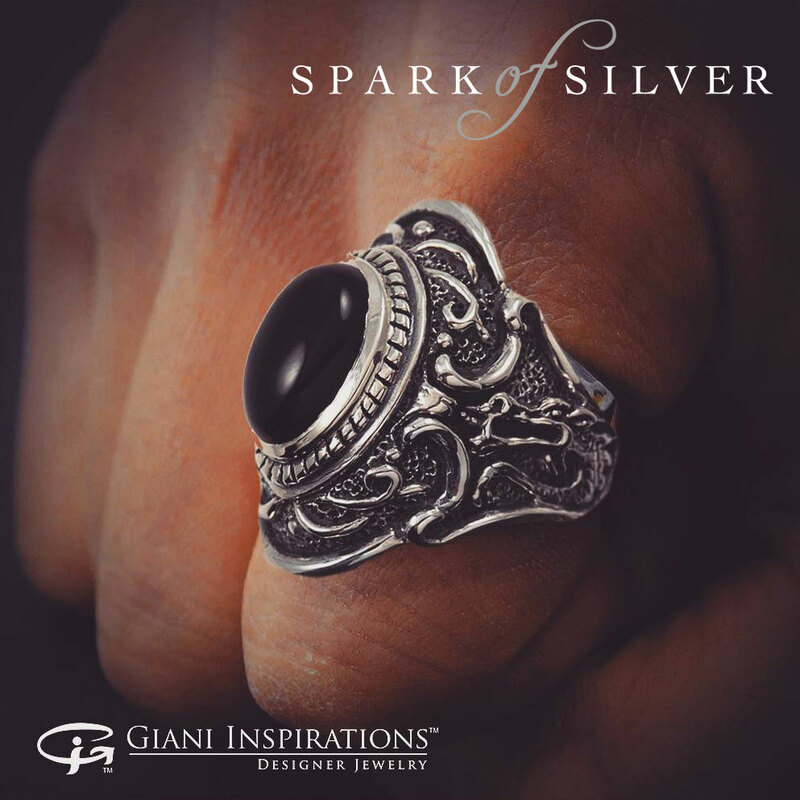 Giani Inspirations offers large variety of handmade silver jewelry for men.